We offer a variety of high quality foamcore monument structures. Core of structure is molded expanded polystryene 1# C.F. Aromatic fast cure urethane, impact resistant hard coat finish. Finished surface is 100% aggregated acrylic. 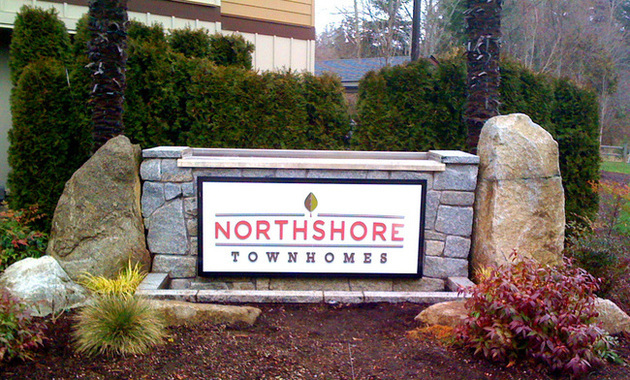 Monument can accept signs panels, dimensional lettering and recessed graphics. Standard models available or custom fabricated from your design.